REVIEW – I’ve found my new favorite backpack! 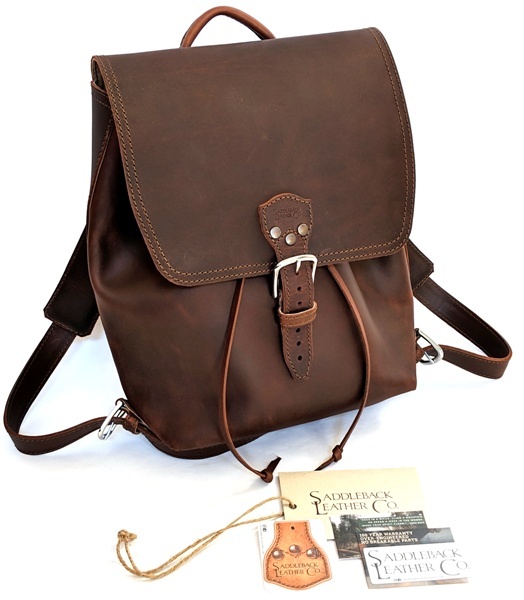 It’s the new Saddleback Leather Drawstring Leather Backpack. It is simple in design, carries all that I need to carry, and is made with the highest quality materials and craftsmanship. Read on for all the wonderful details. 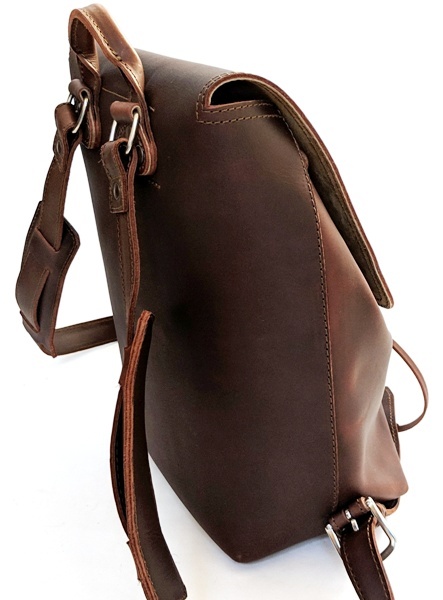 The Saddleback Leather Drawstring Leather Backpack is a bag made out of full-grain leather which is the strongest grade of leather available. 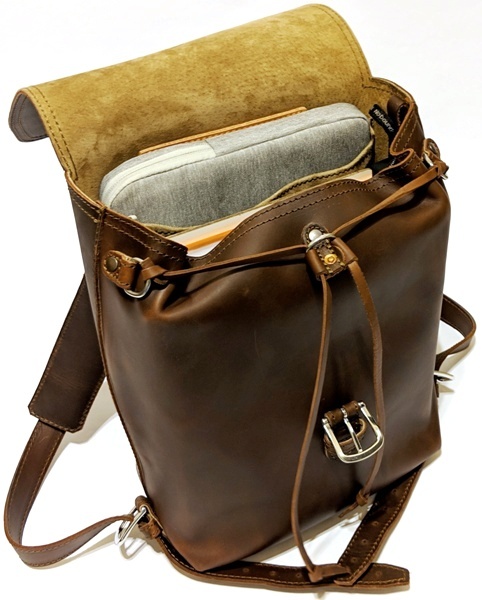 This backpack will carry your laptop (exterior dimensions up to 15” L x 10” W x 1” D or 381 mm L x 254 mm W x 25 mm D) in its interior floppy pigskin pocket and lots of other materials in the main compartment while you are out-and-about. The Saddleback Leather Drawstring Leather Backpack comes with two information cards and two Saddleback stickers (do people ever use the stickers?). 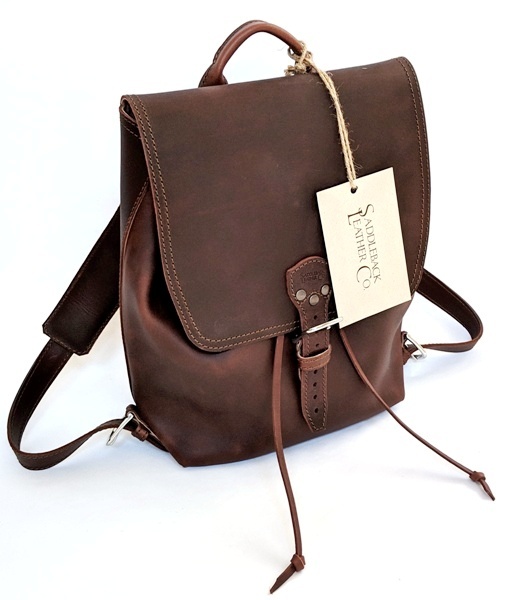 The Saddleback Leather Drawstring Leather Backpack is beautiful in its design simplicity. There are no outer pockets, just a front buckle closure and the leather drawstrings used to cinch the main compartment closed. 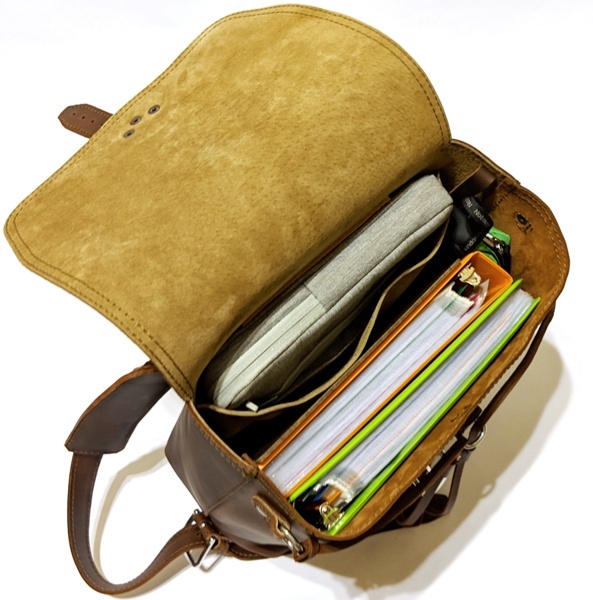 The entire backpack is made using ~2 mm (5 oz) full-grain leather except for the pigskin lining (which is about 1 mm thick) and the floppy pigskin pocket. The bag is stitched using industrial-grade UV resistant polyester thread and the heavy-duty hardware is made from 316 stainless steel. All hardware (buckles and D-rings) are attached to the backpack using thick leather pieces that are looped through the hardware then sewn and riveted onto the bag. 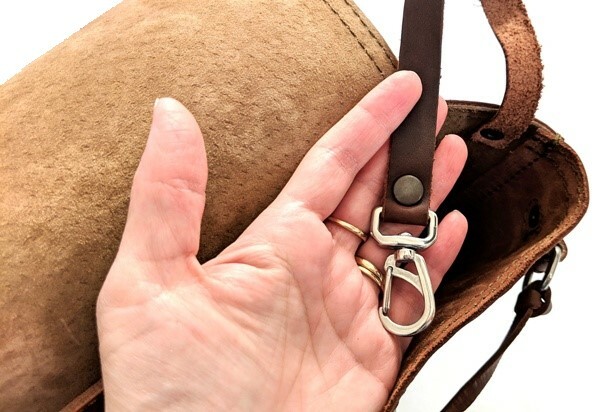 Places where the leather might stretch, have polyester straps sewn in between the layers of leather to prevent that from happening (Saddleback Craftmanship and Quality). This premium backpack feels wonderfully thick, rugged, and durable; yet, the leather is supple. My bag weighs about 3.4 lbs. (1.5 kg) when empty and is one of Saddleback’s lightest bags. My backpack came in the beautifully rich Dark Coffee Brown color but it also comes in other colors as well (Tobacco, Chestnut, and Black). 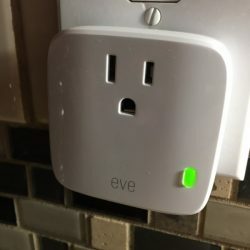 And it has that wonderful leather smell. 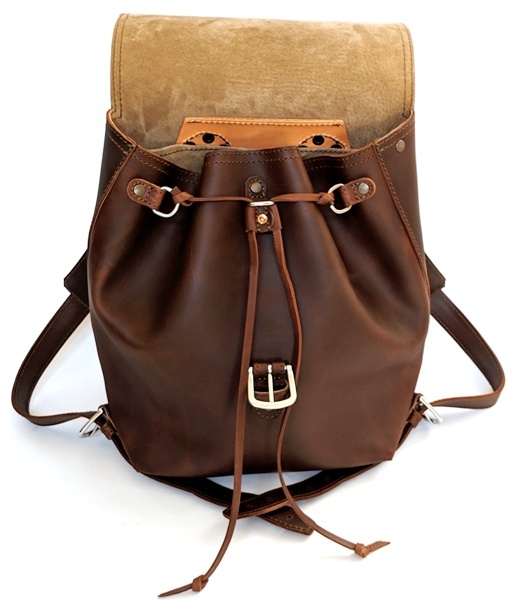 The back of the backpack shows that it is made out of one continuous piece of 2 mm full-grain leather. The photo above also shows the quick-grab handle and shoulder straps. 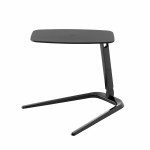 Saddleback provides removable leather shoulder pads to help make the straps more comfortable. 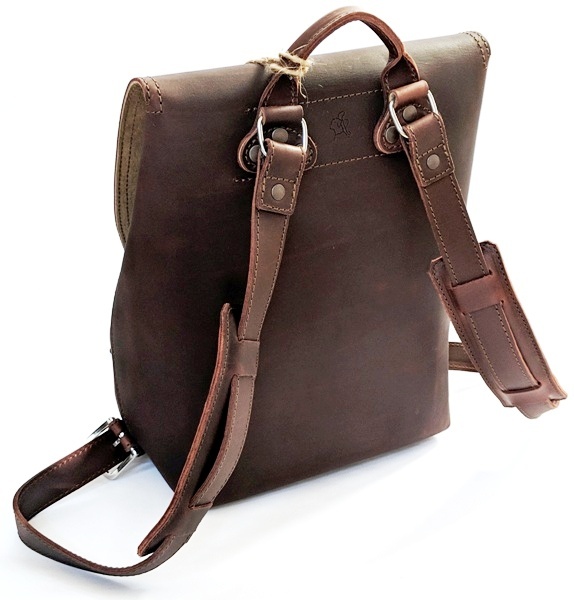 The shoulder straps are looped through and riveted onto a D-ring located at the top of the bag. The shoulder straps’ D-rings and the handle are anchored to the top of the backpack using three rivets per strap. Inside the backpack, you can also see the thick piece of leather on the backside of the bag where the handle and shoulder straps attach. That’s a total of 15 mm of leather (5/8″) to sew and rivet through. 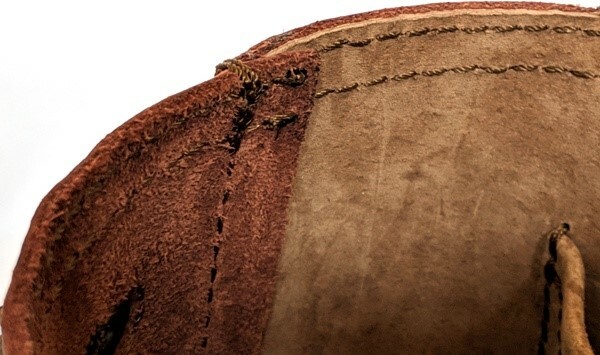 It’s mind-boggling that they are able to sew through that much leather. The handle and shoulder straps aren’t going anywhere. Period. 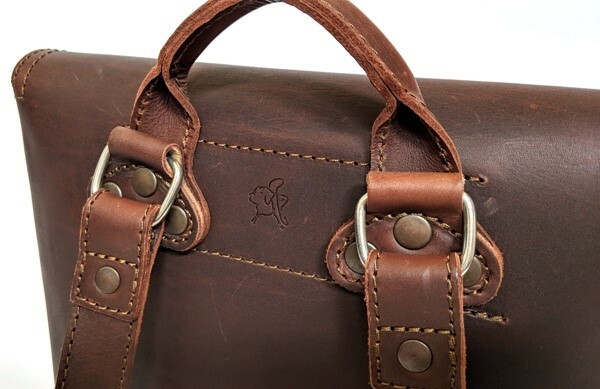 If you look between the leather attachment points of the shoulder straps on the outside of the bag, you’ll see an homage to Dave Munson’s (the president and founder of Saddleback) former dog Blue embossed on the leather. You can read more about Dave’s touching story of him and Blue here. The above photo illustrates how thick the leather straps are. 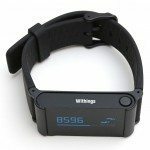 They are made using two layers of 2 mm thick leather sewn together, thus making the total thickness of each strap about 4 mm. The photo also shows how the sides of the drawstring backpack are single stitched using that awesome industrial-grade polyester thread. Here is a close up of the stitching inside the bag. You can also see the thickness of the leather used. That thread and leather are thick! 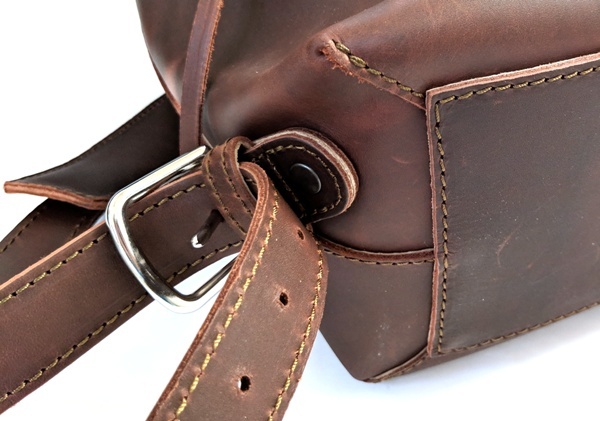 Whenever I review a Saddleback bag, I marvel at the quality of the materials and craftsmanship. All other leather bags I’ve seen pale in comparison. The bottom of the backpack has a thick rectangular piece of leather sewn onto it. Also at the bottom of the backpack, the shoulder straps are attached to the sides using heavy-duty metal buckles which are riveted and sewn onto the bag. 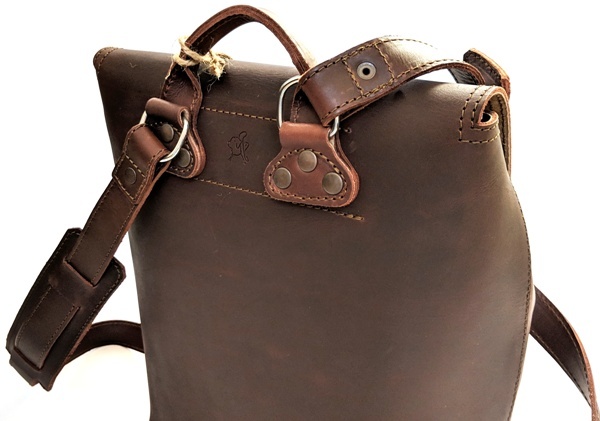 You’ll also notice that the bobbin thread (as shown on the underside of the shoulder strap above) is the same thick polyester thread used for the topstitching of this bag, thus ensuring the longevity of the backpack. The front of the backpack, like the back of the backpack, is also made using one continuous piece of 2 mm full grain leather. Opening the main compartment flap reveals the drawstrings (2 mm leather) used to cinch the bag closed. The drawstrings are tied to two D-rings that are sewn and riveted onto the sides of the bag. The other ends of the drawstrings come together through another D-ring and are fed through a leather cinch which slides up and down. The cinch works well keeping the bag closed. The above photo shows the drawstrings more closely. 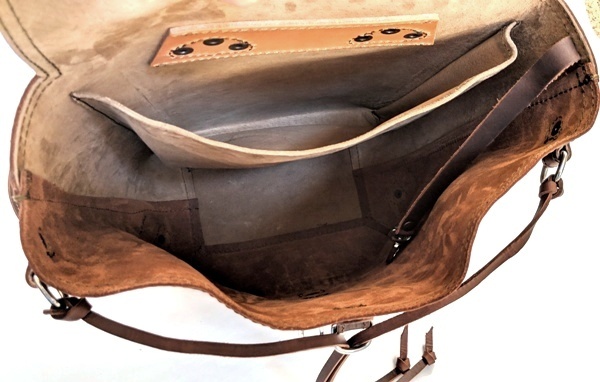 Opening the backpack, you’ll notice that the back part of the bag is lined with pigskin lining which is stronger than cow leather. I really like this lining. It’s so much more durable than the cotton lining found in other bags. 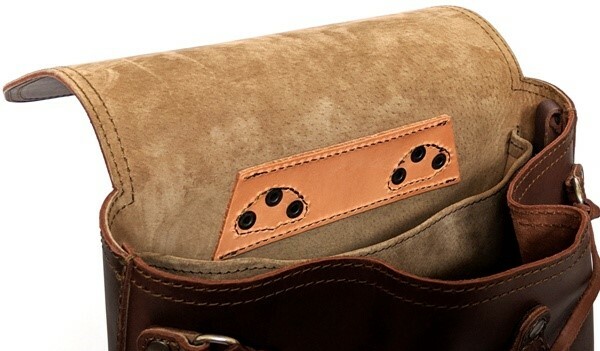 Additionally, using pigskin maintains the rugged style and design of the bag. The inside of the bag is wonderfully spacious. Sewn into the back of the bag is a floppy pigskin pocket to store a laptop. This pocket measures 12” H x 10.5” L (305 mm H x 267 mm L) and does not have any padding to protect a laptop. 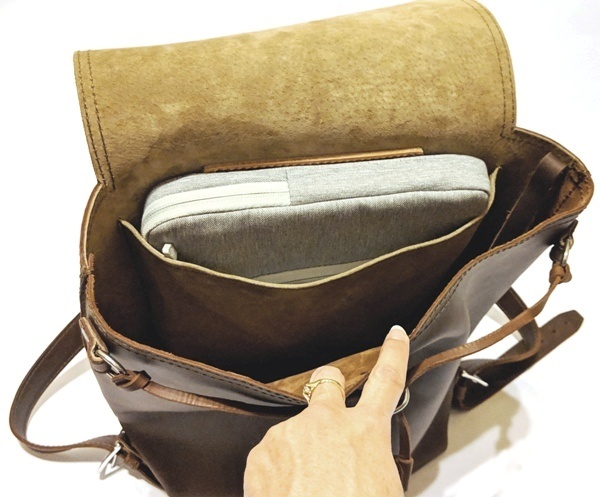 The rest of the bag is wide open space – there are no other pockets or slots. There is, however, a key clip strap to hold your keys in place so they don’t wander around in the bag. Here you can see the key clip strap and the metal claw hook used for your keys. My padded laptop case fit perfectly inside the floppy pigskin pocket. 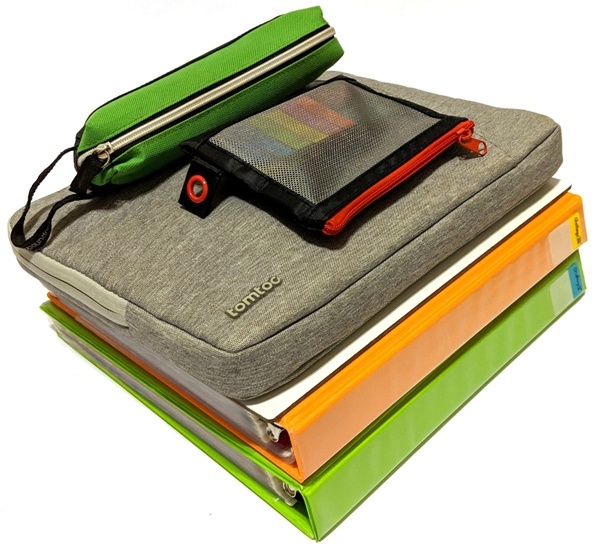 This pocket will even accommodate a laptop with outer dimensions of up to 15” L x 10” W x 1” D (381 mm L x 254 mm W x 25 mm D). All of the rest of my materials fit well inside the main compartment. The backpack was pretty full with all of my materials in it and so it didn’t need a lot of cinching to close the main compartment. With all of my stuff in the backpack, it weighed 15.4 lbs (7.0 kg). The flap has enough adjustment to close the bag when it is full. 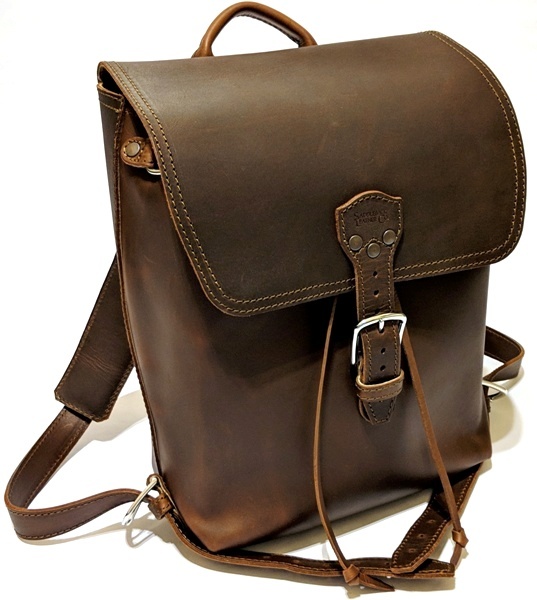 The Saddleback Drawstring Leather Backpack is pretty comfortable when carrying it around town in my opinion, although I have not carried it around for a long duration. It lies flat against my back (and my husband’s back as shown above) and the leather shoulder pads do help to make the shoulder straps more comfortable, especially when carrying a lot of weight. 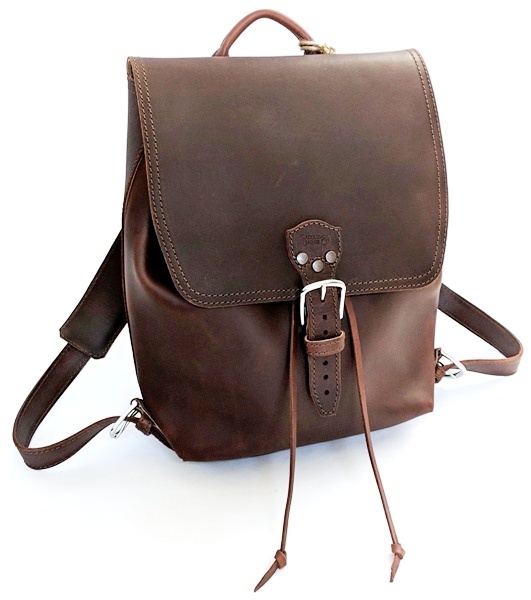 The Saddleback Leather Drawstring Leather Backpack is now, hands down, my favorite backpack. I love the simple design with its spacious main compartment and the floppy pigskin pocket that holds my 13” laptop (Lenovo Yoga 730) with its bulky padded laptop case. This pocket will even accommodate a larger laptop with outer dimensions of up to 15” L x 10” W x 1” D (381 mm L x 254 mm W x 25 mm D). 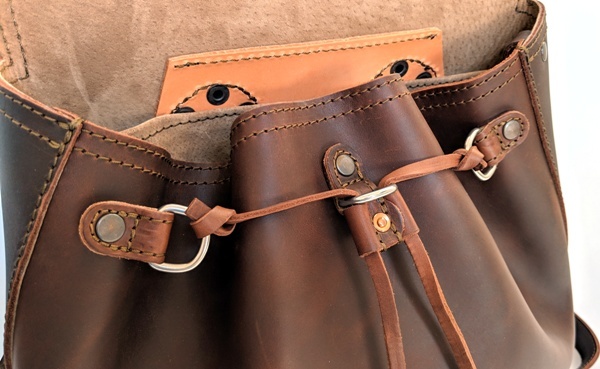 In addition, every time I review a Saddleback product I am truly amazed by the high quality durable heavy-duty materials that they use as well as how well each bag is designed and assembled. You just can’t question the quality of their bags, which are second to none. 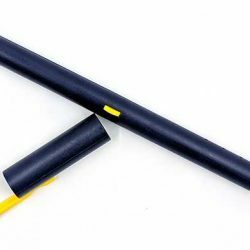 They use full-grain leather, pigskin lining, industrial-grade UV resistant polyester thread, heavy-duty 316 stainless steel, all stress points are reinforced with rivets, and they sew in hidden polyester straps between the leather layers to prevent leather from stretching. I love knowing that I won’t ever have to replace this bag. The only things that I can think of that might not be to your liking is the price and the style. However, I have come to understand that if you want a really well-made leather product that will last you a lifetime, you will have to pay this kind of a price tag.